Homemade chicken liver pâté. Easy, cheap but special. This time I was inspired by a foie gras starter we had this summer in France. The chef added a little quatre épices which I liked very much. 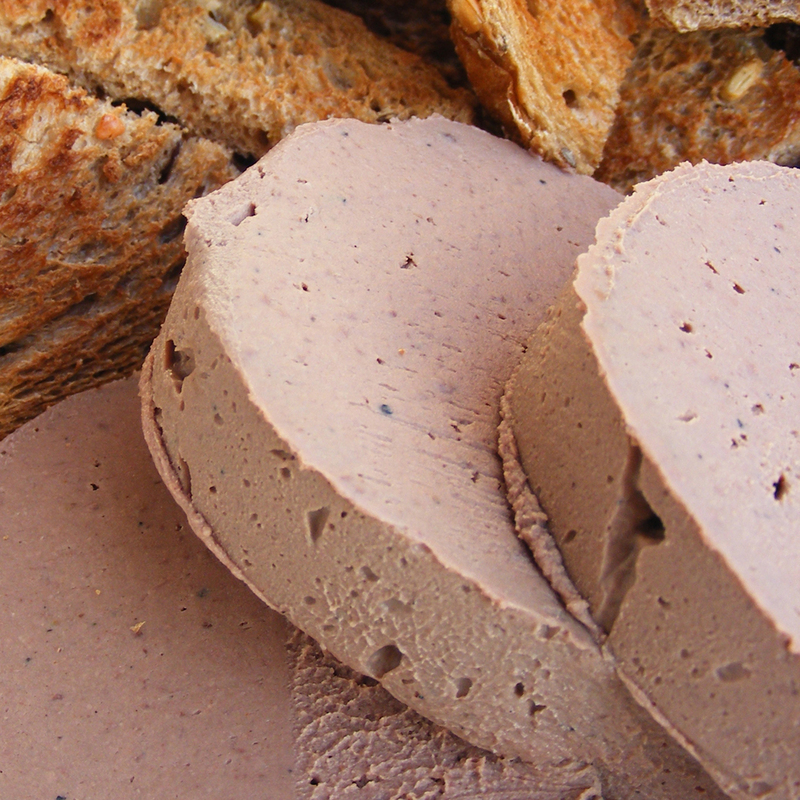 The problem with chicken liver pâté is that I normally have enough of it quite easily. But today I discovered that with some sriracha chili sauce I will never get satisfied, always eager for more. 2 pinches of cayenne pepper. Saute the chopped shallot in some of the butter. Then add the chicken livers. Add the salt and a tiny pinch of ground cloves (kruidnagel in dutch), ground green cardamom and some cayenne pepper. Saute the livers in about 4-6 minutes until done but still pink in the middle. Deglaze the pan with white port and let it reduce. Take the pan off the heat, add remaining butter. Let it cool. Then add to the blender. Blend until smooth. Pass through sieve. I whipped the cream and carefully mixed the two when the chicken liver was cooled down enough but I think you can just as well add the cream (unwhipped) to the blender. Put in one or more decorative jars. Cover with cling film to prevent discoloring. Put in fridge and wait at least 12 hours until set. Like I said, I’ve made this before and it’s always a bit “much”, a bit “heavy”. Normally I can’t finish the batch. 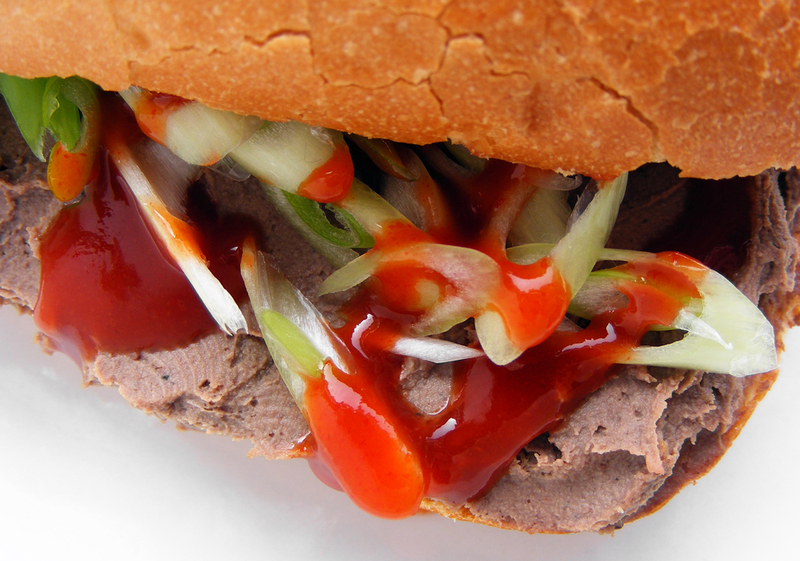 But today I discovered that with (spring onion and) sriracha chili sauce this chicken liver pâté is awesome. 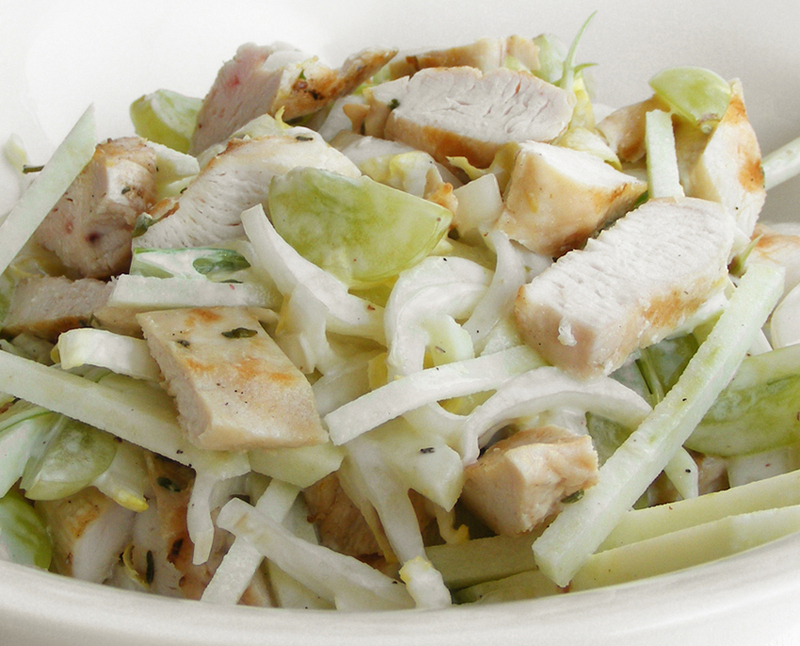 Not the most simple salad because of all the ingredients, but not that complicated either. 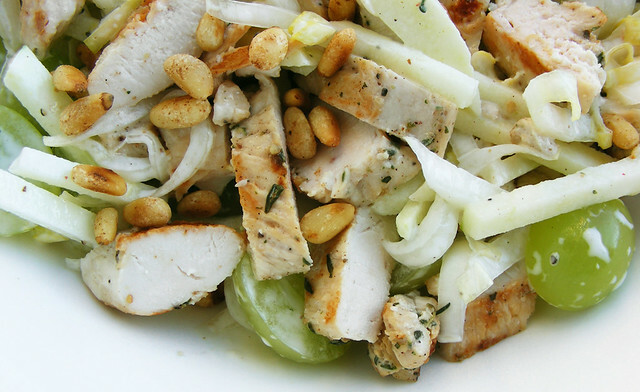 I particularly like this salad when I'm hungry on a hot summer day. Substantial, but still light and refreshing because of the crunchy apple, the sweet grapes, the bitter chicory (witlof / witloof / dutch endive), the sour yoghurt dressing with the hint of honey. The chicken gives it body. Cut 300g chicken breasts in 3cm thick strips. Marinate for a couple of hours. Then grill for about 5 minutes or until done. Let it cool down and slice in bite-size chunks. Set aside or refrigerate until needed. Cut 4 heads of chicory into thin slices. Remove the cores. Cut 150gr of white, seedless grapes in quarters and mix with the chicory. Cut 1 granny smith apple in julienne strips and mix with the chicory. Add the pieces of grilled chicken. 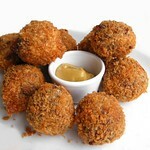 The croquette is a very typical dutch snack, we eat about 18 croquettes per person per year. 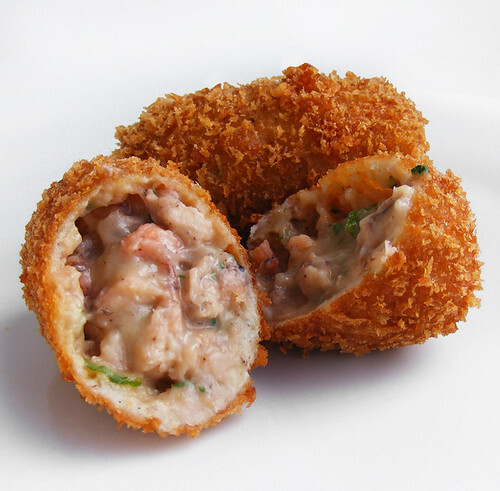 Although those are mainly beef croquettes, this version with shrimps is more popular in Belgium. The principle is very simple: you make a roux and add cooked shrimp (or meat or whatever). You add gelatin as a trick to help the roux get firm in the fridge, you won’t taste it in the finished product. 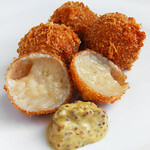 Mold croquettes in your hands, dust with cornflour, roll in egg-white and cover with breadcrumbs, deep-fry and that’s it! 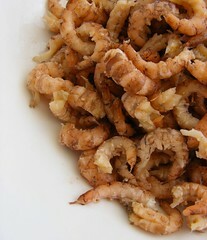 In this recipe it’s really worthwhile to use the typically dutch brown shrimp. Soak the gelatin sheets in cold water for about 5 minutes. Slowly melt the butter in a heavy-bottomed saucepan. When butter has melted, add all flour at once. Stir with a rubber spatula. Heat the mixture for about 3 minutes or until you feel the rawness of the flour is gone. This is an important step, if you don’t cook it enough the croquette will taste of flour, it’s better to be safe than sorry. Gradually add the (cold) stock, stir and bring to the boil. Squeeze the soaked gelatin and stir into the mixture. Add cayenne, garlic powder, salt and pepper and let the mixture cool a little. Then carefully mix in the shrimp. Don’t stir too much now. Taste the mixture and add salt, pepper, etc if needed. Line a baking tray with cling-foil, add the mixture in a layer of about 3 cm thick, cover with clingfilm (clingfilm touching the mixture), let it cool (as quickly as possible) and transfer to your fridge. Ideally, you let the mixture rest for a day to let the flavors “mix and marry”. Cut the mixture already in the shape of croquettes. 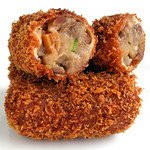 Pick up the now square croquettes one by one and mold in your hands into a nice, round croquettes. Deep-fry for about 2-3 minutes at 180°C. I used bapao flour, which is low in gluten. I’m not even sure if it’s “better or worse” to use, normally you’d use all purpose flour. I added 2 teaspoons of freeze dried yuzu and some chopped parsley. Normally you’d just squeeze some lemonjuice over he shrimps. I used panko, Japanese breadcrumbs. And I coated the croquettes twice, so adding another step of rolling in eggwhite and panko again. I froze them after I dusted them in cornflour. You could also freeze them including the panko, but you get a much nice result when you roll them in panko just before deepfrying. 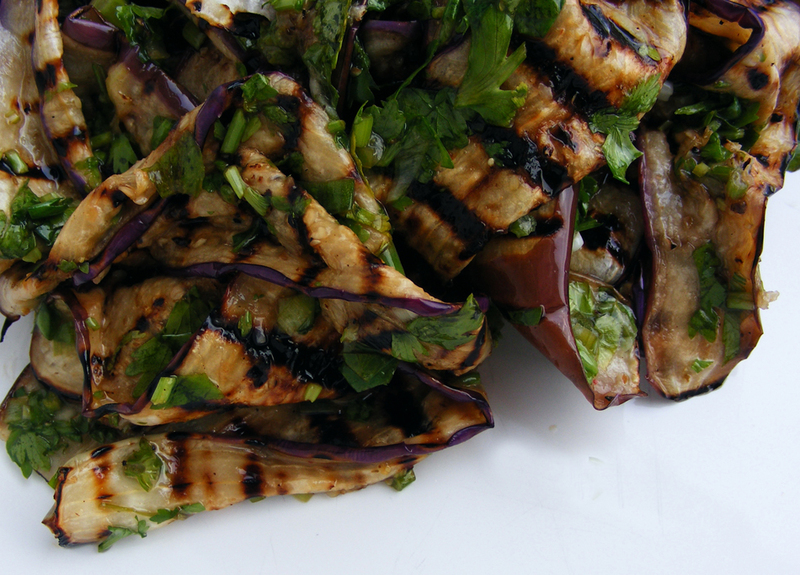 Together with Fish frangrant eggplant and Thai coconut scented eggplant this is my favorite eggplant recipe. Especially in summer. It’s pretty simple, it’s just a bit of work to grill all the eggplant slices if you just have the one griddle pan. But if you’re a little bit practical, you can do this during the preparation of the other dishes. Anyway, I think it’s totally worth the trouble! Slice the eggplants into thin (2mm) slices. Preferably with a mandoline slicer. Grill them (in batches) in a griddle pan or on the bbq. Don’t use any oil. Another one of my most favorite salads. Pretty simple, but pretty good. Perfect for a summer’s day and my entry for the dutch foodblogevent which theme is strawberries! One of my favorite if not most favorite salads. I eat it with steak or fish or just about everything. 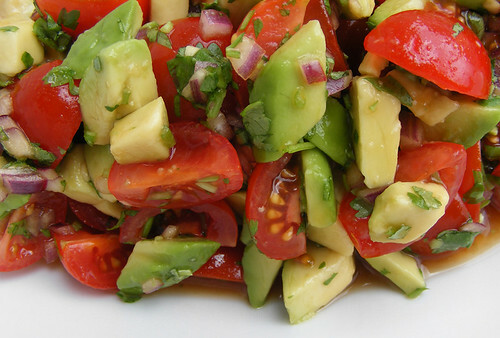 Make sure the avocado is nice and soft and the tomatoes have as much flavor as possible. 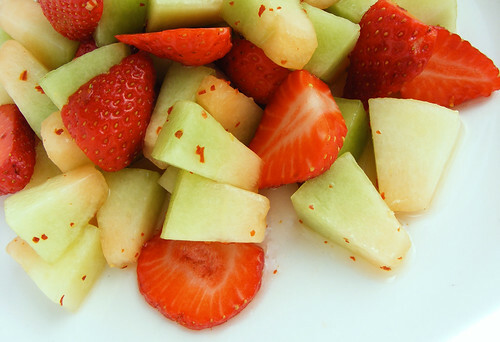 Mix the ingredients for the dressing in a salad bowl. Taste and adjust if necessary. Dice the onion pretty finely, the coriander roughly, add to the bowl and mix. Cut the tomatoes and avocado in smaller but similar pieces and add to the bowl. You might want to mix everything without the avocado first, to keep it neater. Rinse a tablespoon of fermented black beans (tausi) and set aside. Scrub the oysters if they’re still sandy. Open them, cut the oyster loose, but leave them in the half shell. Arrange them an a plate that will fit in your steamer. For stability you could take some tinfoil and mould them into little circles on which you strongly put the oysters. 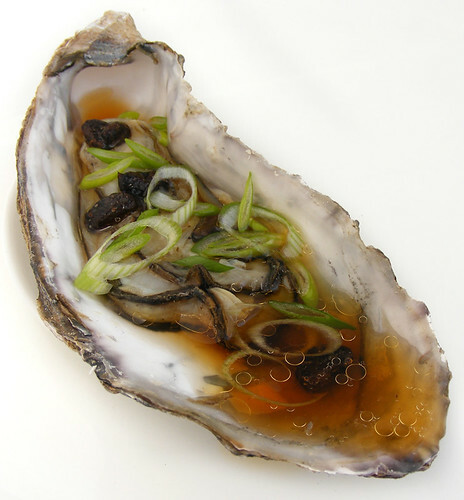 Put about 5 little black beans on each oyster, then pour it with the sauce and steam for about 3-5 minutes until they’re warm and firm up a little, but aren’t completely cooked. Sprinkle with some finely chopped spring onion and serve.